For Greater Astoria Historical Society Story / Restaurant Info / Shops Info / Transit Info Or For Printer Friendly Link - Scroll down. THE GREATER ASTORIA HISTORICAL SOCIETY & ASTORIA ATTRACTIONS. Click here to view a story related to the Greater Astoria Historical Society. 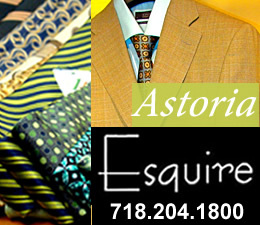 Click this link to go to the Astoria Neighborhood / Astoria Restaurants Guide & Map / Astoria Shopping Center & Map / Astoria Real Estate.